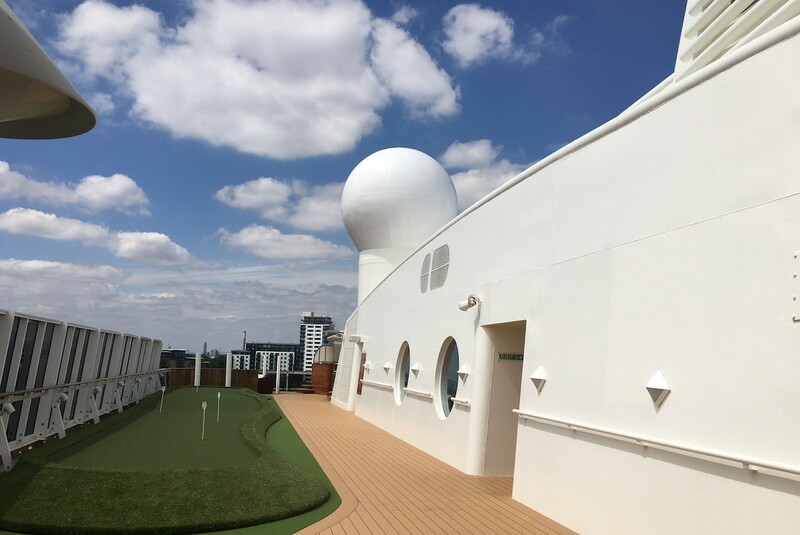 Most of the 142 owners live on board only three to six months a year so, unlike a cruise ship, there would never be more than around 150 people aboard. So there’d be no worries about securing a sunbed by the pool or a table in one’s restaurant of choice. Also, unlike a cruise ship, The World spends more time in port than at sea, with longer stays in each port. 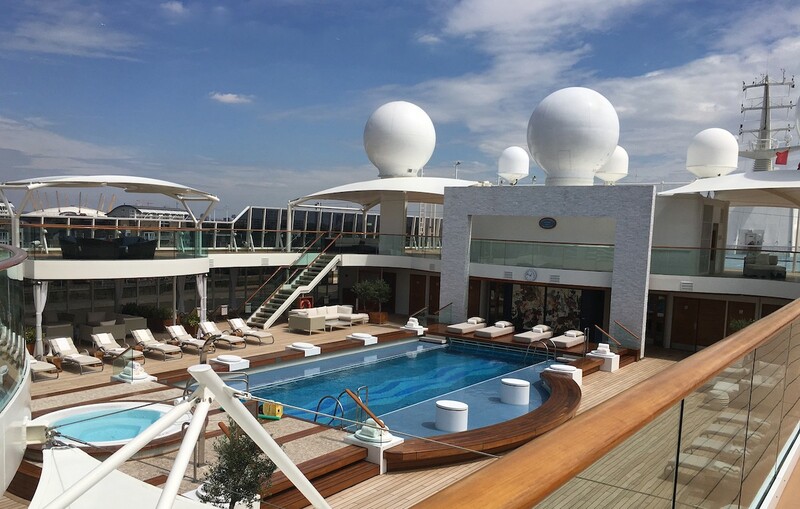 The ship visits 100 ports a year, always including maiden ports as well as favorites, all determined by a board made up of residents who choose the stops three years in advance. 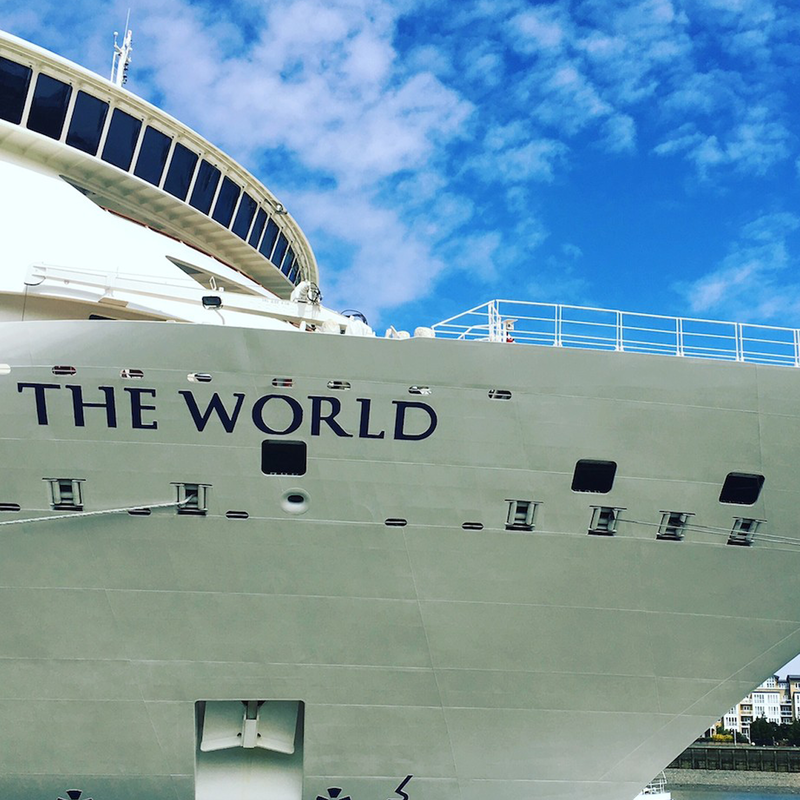 Since The World’s launch in 2002, it has visited over 900 ports in 140 countries. The World’s private apartments range in size from studios to a penthouse of 3,000 square feet and can be decorated as the owners wish so they vary hugely according to taste and preference. Another resident, Scott Steinfort, does live most of the year on The World and loves it. Mr. Steinfort and his wife owned a successful business in Illinois selling products made from corn cobs, including cosmetics like the iconic 1960s makeup brand Corn Silk. They decided to sell their house and live on the ship full-time as they both love to travel. Mr. Steinfort explained that while the apartments on board have increased in price, buying their two-bedroom apartment on the World in 2008 was a lifestyle choice for them rather than one of investment. Most of the owners appear to be self-made entrepreneurs, many of whom are still running businesses and have other homes. 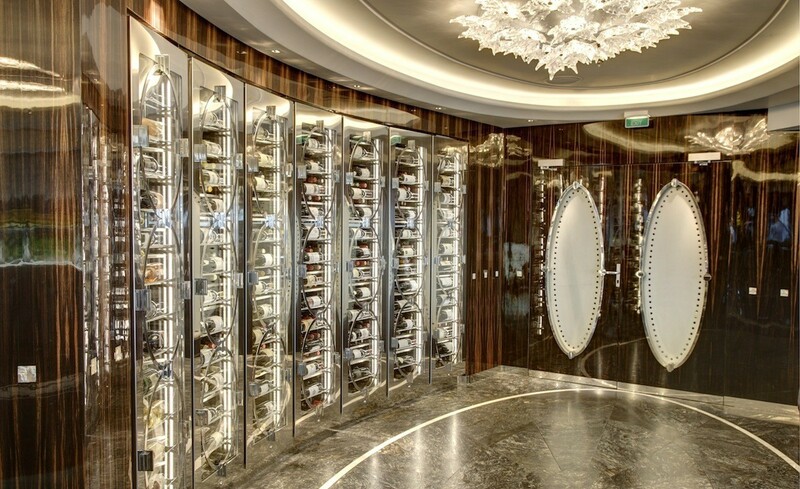 The ship does have many of the same features you’d expect on a luxury cruise ship but the attention to detail is impressive such as the Lalique chandeliers and table lamps in the fine dining restaurant Portraits and the wine vault with 11,000 bottles to choose from. Marina Restaurant has recently been renovated and features an open-air platform which opens and closes depending on the weather. 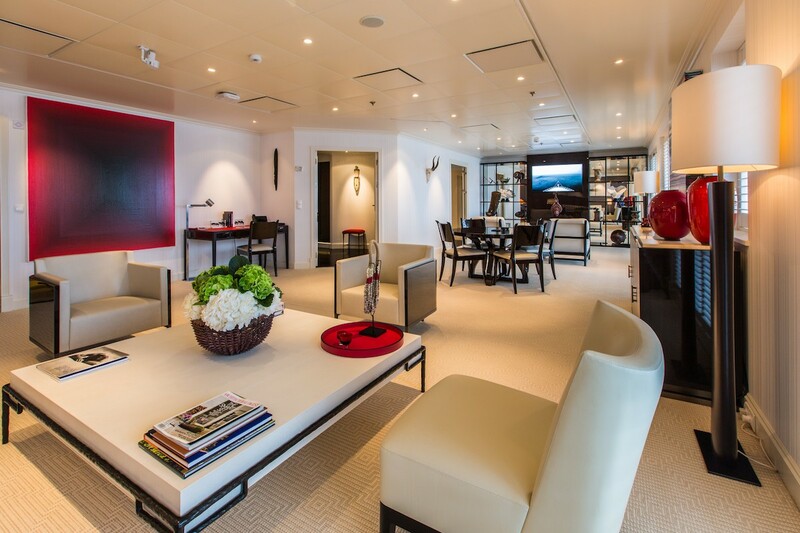 The ship’s retail boutique offers a range of high-end brands such as Bulgari and Lalique, with the latter launching a new product on board. Other designers such as Mia Arcenas, Belinda Tobertson, Camilla Franks, Elysa Suzanne, Joseph Ribkoff, and Maggie Coulombe have had trunk shows in the boutique. In addition to an extensive sports offering of cricket, swimming, tennis and golf, intellectual tastes are also catered for. The theatre offers a daily programme of films, performance, and lectures. The week before my visit, art lecturer Ben Street, who gives art talks at the Bulgari Hotel in London for London Art Studies and at the National Gallery in London, gave a well-received lecture on contemporary British art. 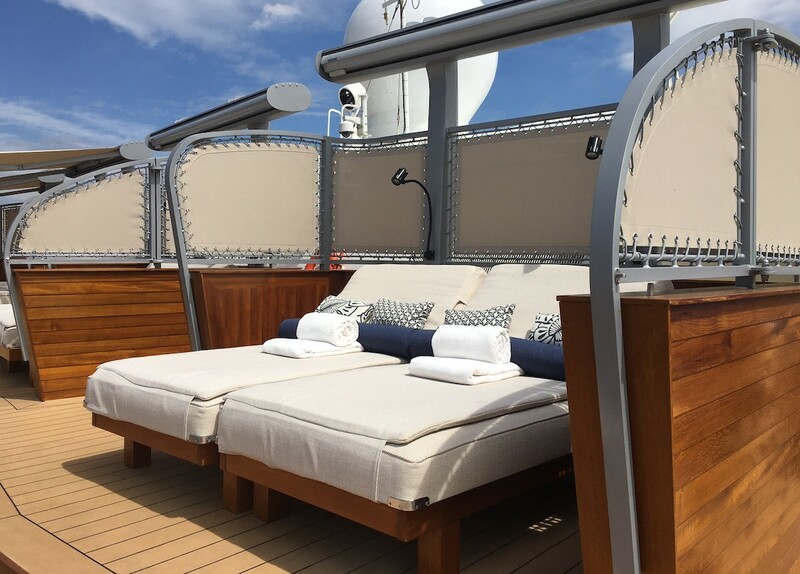 The feature of The World is the Bali Beds on deck 12 which can be reserved for overnight stargazing stays. Homes on board The World start from $1.6m (studio) to $15m (3-bedroom customized) plus annual ownership charges, based on the size of each property.